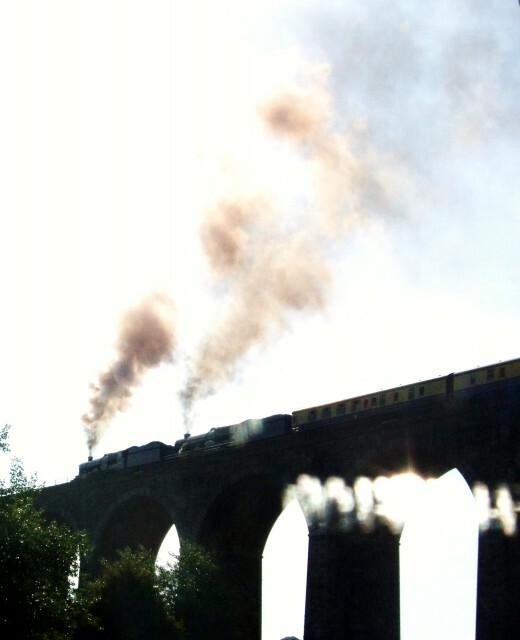 Home » Blogs » Carol's blog » Steam Train to cross Angarrack viaduct 26/28 June? Submitted by Carol on Mon, 07/06/2010 - 17:18. Apparently there's going to be a Steam Heritage tour at the end of June. It would be great if one of the photographers in the village could capture the train crossing the viaduct. I think the schedule is going west on Saturday 26th June and returning east on Monday 28th June. Submitted by Angarrack.info ... on Tue, 29/06/2010 - 12:56. Submitted by Angarrack.info ... on Tue, 29/06/2010 - 12:32. TRAINSPOTTERS are in for a treat this weekend with locomotives dating back to the golden age of steam puffing their way through the Penwith countryside. Two engines will be visiting Penzance in celebration of the 175th anniversary of Victorian engineer Brunel's masterpiece, the Great Western Railway. On Saturday at around 8.15pm a train packed with 480 enthusiasts will be hauled into the station by diesel engine, Western Champion. Following a trip to Scilly on Sunday aboard a specially-chartered Scillonian, the historic carriages will then be pulled out by two steam engines, King Edward I and Nunney Castle, on Monday. And to ensure the Great Western steam engines will be seen at Penzance the pair will chug into Penzance early on Monday morning on the eastbound line, when no other trains are operating, then leave at 9am. Marcus Robertson, chairman of Steam Dreams, who organised the trip, said: "Both locos were regulars on this line in the middle of the 20th century and offer a nostalgic look back at the magnificent days of steam. "The Great Western Railway and its charismatic engineer Isambard Kingdom Brunel, are so well loved we could not let the anniversary pass unmarked." On Sunday passengers will visit Scilly, the Eden Project and Bodmin and Wenford Railway – or spend the day at leisure in Penzance and St Ives.